As many as 11 common leopards have died in human-wildlife conflict in Kathmandu Valley in the past five years. In 29 cases of leopards entering human settlements, five of the animals were put back into the forest after rescue whereas six were taken to the Central Zoo for treatment before being released in the forest. The remaining seven had escaped after they came in close contact of humans. Over the years, sightings of common leopards have increased in various places of Kathmandu Valley, which wildlife experts believe is due to shrinking habitats and drying up of water resources inside forests. “As urbanisation goes unchecked in Kathmandu Valley, human settlements are getting closer to forests, fragmenting leopard habitat,” said Yadav Ghimirey, wildlife research and conservation director with the FON. Such conflicts are expected to increase in future as settlements encroach upon natural forests, he added. The leopards were found to roam settlements close to forests. Wildlife experts say most of the endangered wild animals could be saved with proper rescue. Radha Krishna Gharti, senior vet technician with the Central Zoo who is involved in leopard rescue missions in Kathmandu Valley, said the big cats were mostly killed by people before rescue team arrived. “Rescuing leopards with minimal equipment and manpower is a difficult job. 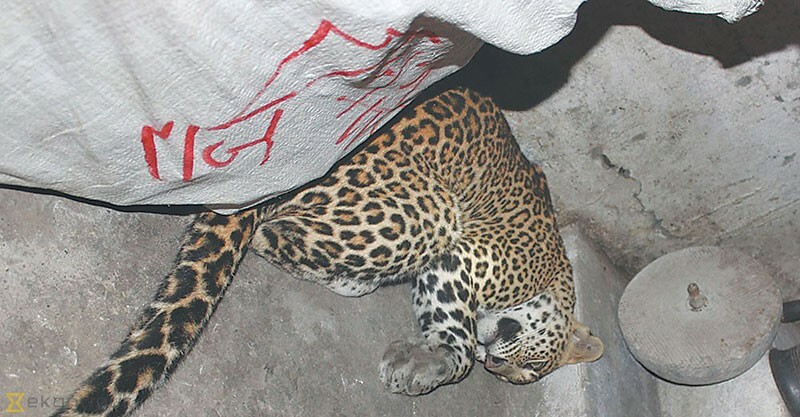 It turns worse when crowds of people panic and attack leopards when it could be rescued alive,” said Gharti, who was attacked by a leopard during a rescue operation in Kapan area. He blames killings of the animal on the lack of public awareness. The study identified Dadhikot, Gundu, Sipadol, Sirutar, Bageshwori, Sudal and Tathali in Bhaktapur; Lamatar, Lubhu, Lele, Chapagaun, Chhampi, Godamchaur, Thaiba, Dhapakhel and Thecho in Lalitpur; and Chandragiri, Kirtipur, Nagarjun and Dakshinkali in Kathmandu as areas where leopards are likely to be sighted. “While human settlements are moving uphill towards forest areas, leopards are coming downhill to our settlements,” said Shashank Poudel, a common leopard researcher.